Saudi-based Islamic Research and Training Institute (IRTI) has partnered with Bank Indonesia and Indonesia Waqf Board to unveil a set of principles that will facilitate effective management of Islamic endowments to help harness potentials of the sub-sector toward resources mobilisation for development activities. 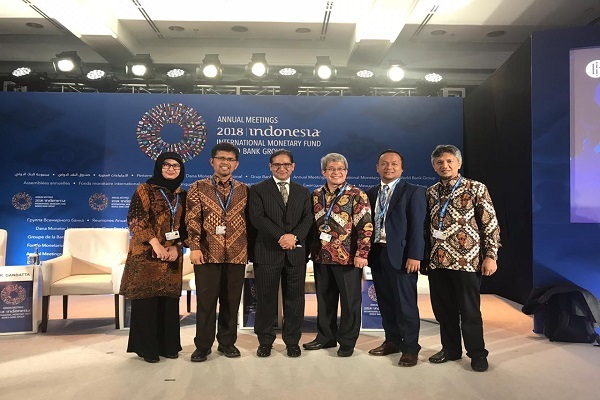 A unit of the Islamic Development Bank (IsDB) Group, IRTI launched the “Core Principles for Effective Waqf Operations and Supervision and Cash Waqf-Linked Sukuk last week in Bali, Indonesia, on the sidelines of the Annual Meetings of World Bank and International Monetary Fund (IMF). The Islamic endowments (awqaf, singular: waqf) are a significant component of Islamic social finance, which has attracted attention of development partners as a tool for harnessing resources to address poverty, promote economic inclusion, and foster social development. IRTI Director General, Dr Humayon Dar said: "I am delighted to note that the launching of these core principles is another milestone for IRTI in its strides towards facilitating the development of Islamic social finance." "This is a sector with huge prospects especially for IsDB member countries, and IRTI would be happy to continue to work with our partners to optimally harness the potentials of the sector," he noted. This is the second joint initiative between IRTI and Bank Indonesia, following the successful launch of the Core Principles on Zakat Management back in 2016. Lauding all stakeholders, Dr Dar said that such a collaboration is an excellent example of success of global partnerships for development of Islamic finance.